CHAPEL HILL — For a few fleeting moments in the second half Monday night, it appeared that fourth-ranked Virginia was about to get run out of town, let alone getting blown out of the jam-packed, frenzied Dean Dome. The No. 8 Tar Heels, trailing most of the game and shooting poorly, exploded three minutes into the second half and played like their national ranking as they constructed a 17-3 run that left the visiting Cavaliers a bit stunned. When that point flurry ended, UNC had leapfrogged UVA for a 49-43 lead. This was the chance for a statement win the Tar Heels had been awaiting in ACC play. All they had to do was not let up for the last 12 minutes. Virginia was forced to draw a line in the sand, well, er, hardwood. This time there was no collection of can’t-miss 3-point shooters or a freakish beast erasing impossible-to-block 3’s by the Wahoos. This time, Tony Bennett threw a rare hissy fit, and the timing couldn’t have been any better. During a time out, the mild-mannered Virginia coach unleashed on his team. For the fourth game in a row, they had committed double-digit turnovers, atypical of how the Cavaliers had performed in the previous 19 games when they led the nation in fewest miscues per game (8.4). The Tar Heels were scoring off UVA turnovers, getting easy baskets, and on the verge of handing the Wahoos back-to-back losses for the first time since 2016-17 (to Duke and UNC). To that point, Virginia had committed 10 turnovers, prompting Bennett to lose his cool. 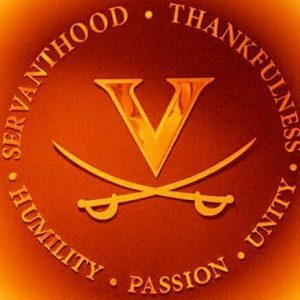 Meanwhile, junior tri-captain Ty Jerome was busy telling his teammates to calm down, that everything was okay, that Virginia is built for this sort of situation. Jerome’s words resonated with his teammates. Virginia didn’t commit another turnover the rest of the game and stormed back to take the lead and pulled off its fourth straight win against the Tar Heels (69-61), matching the Cavaliers’ longest streak against UNC since 2001-03. UVA has won six of the last seven regular-season games against Carolina. Virginia outscored the host Heels 16-10 to knot the game at 59-all with four minutes to play, then bested Carolina 10-2 the rest of the way, including two long-distance daggers by sharpshooter Kyle Guy. Meanwhile, UNC resorted back to its former first-half self, sloppy with the ball, missing shots, taking bad shots as Virginia cruised to its 21st win of the season (21-2, 9-2 ACC). Carolina, which saw its seven-game ACC winning streak vanish, dropped to 19-5 and 9-2 in the league. It is the only regular-season matchup scheduled between the two conference heavyweights this season. Jerome said he had told his teammates, who dropped only their second loss of the season to No. 2 Duke two nights hence, that the defeat was no excuse to come into the Dean Smith Center and lose. “I told the team, I don’t care if we played Duke on Saturday and that we’re on the road today. Come out and expect to win no matter where we are, no matter who we play,” said Jerome, who backed up his words with action, with 15 points and 11 assists in 37 minutes. Nothing closed the door on a possible Carolina win like Guy’s pair of timely shots from Bonusphere. Leading by only a bucket (61-59) with 3:12 to play, the Tar Heels and Cavaliers swapped missed shots, then UNC committed a turnover with 2:18 to go. Everyone in the joint new what was coming. Bennett was looking to set up Guy, who had that look in his eyes. He drilled a 3-pointer from the right corner, 64-59, just less than two minutes to go. UNC scored a two, then Guy continued to hunt his shot next trip down the floor and delivered another bomb and was fouled. He missed the and-one, but UVA held a 67-61 lead with 70 seconds to play. The Tar Heels missed at least their next six shots in desperation. “That’s what [Guy] does, man, that’s what he does,” Jerome said. “That’s who he is. Guy finished with 20 points — matching teammate De’Andre Hunter’s output — but nine of them were in the last 11 minutes. Guy was somewhat nonchalant after delivering the daggers.